If you have a cake idea select this link to email us directly. Please include pictures, date of event & budget for your cake. The Real Cake Baker serving greater Los Angeles, Orange County and the Valley since 2007. 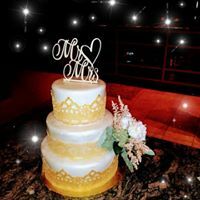 We offer a unique array of made from scratch custom cakes and desserts with many original recipes and International shipping on most items. Specializing in: traditional, vegan, gluten free and sugar free dessert options. We offer one stop catering services with our savory menu options. We deliver fresh food to your home or office. No event is too large or too small. The Real Cake Baker's goal is to make sure your event is successful with our catering or craft services and we are thankful to our customers and community for your continued love and support!